BlackCleopatra: What's ‘the skinny' On Waist Trainers? Pun Intended!! 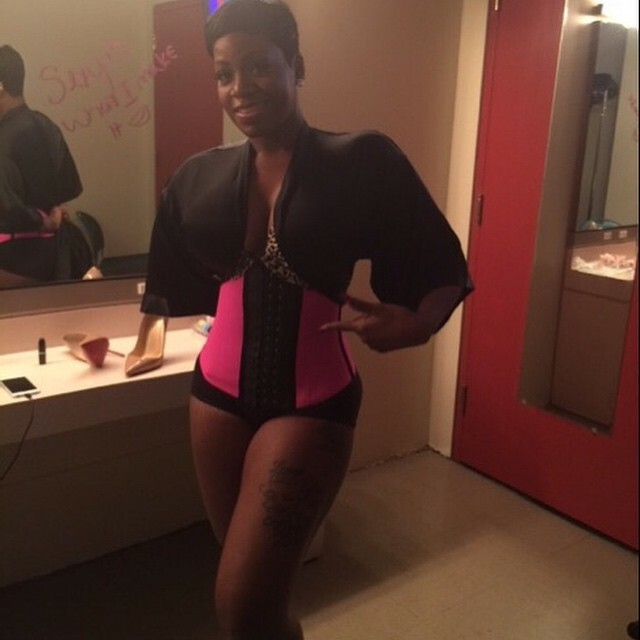 What's ‘the skinny' On Waist Trainers? Pun Intended!! They are everywhere! Everyone is doing it! You know what I am talking about.... Waist training! Anyhoo, as I was saying, waist trainers, yes! As mentioned above I am currently doing quite a bit of fitness research and it seems that everywhere I look, a waist trainer/cincher pops up. It seems like everyone is wearing one, either openly or secretly. In case you don't know what a waist trainer/cincher is, let me explain: It is a band of material that wraps tightly around the waist and lower rib cage in order to gradually reduce the size of the waistline. Think 'hour glass figure'. To be honest, I have never been tempted to purchase or try one of these trainers as I sincerely do not believe in quick-fixes. However, since quite a few of the 'fitness experts' that I have researched have advocated their use in order to facilitate the acquisition of toned abs and a smaller waist, it made me re-think. Is there something in this... what's the skinny on waist trainers? Do they actually work? More importantly, are they harmful? Now, I will tell you straight away that from what I have researched so far, there isn't a straightforward yay or nay to either one of these two questions. However, let me share with you my understanding so far. Well, if the likes of Fantasia, the Kardashian sisters and Amber Rose, to name but a very few of it's advocates, are to be believed, then... yes! 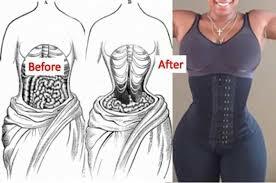 All you need to do is type in 'waist training before and after' into Google and you'll find a ton of women who swear by it and have uploaded pretty convincing pics to prove it. Although there are many who will simply wear the trainer for hours on end over an extended period of time and claim that it works, most advocates and makers of the product would advise that it is used alongside a healthy diet and exercise regime. I read many other user accounts and medical/expert opinions on this question, and to be honest, the general consensus was, yes it works for as long as you continue to wear it. Once you stop wearing one, your waist will generally return to it's original size except where the use of a waist trainer is combined with a healthy diet and exercise regime. Now don't be overly alarmed at the picture above... but be concerned. 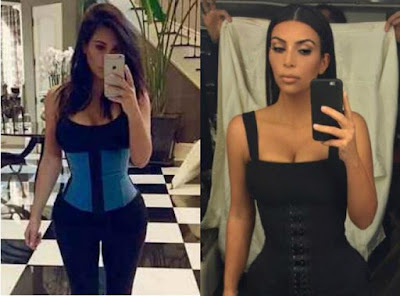 Just like the corsets of the Victorian era, waist trainers have been accused by some medical professionals of causing harm to a woman's health if used over an extended period of time. Such harm includes, the displacement of internal organs, compression of the stomach, colon and intestines, compression of the lungs - causing reflux, shortness of breath, possible fracturing of the ribs, heartburn, chaffing of the skin. To be honest, I have not heard of anybody dying from wearing a waist trainer, but the possible side effects listed above are enough for me to opt for the gym any day... or at least my living room with some aerobics videos and dumbells. I am very interested to see what the fitness experts that do advocate waist trainers have to say, and how they incorporate them into an exercise regime. Perhaps, the temporary use of a waist trainer as part of a work out is okay... I shall soon find out and let you know. What do you ladies think? Anybody ever used a waist trainer? Whatever the case may be, please be mindful of the possible effects of using one over extended periods/long term.